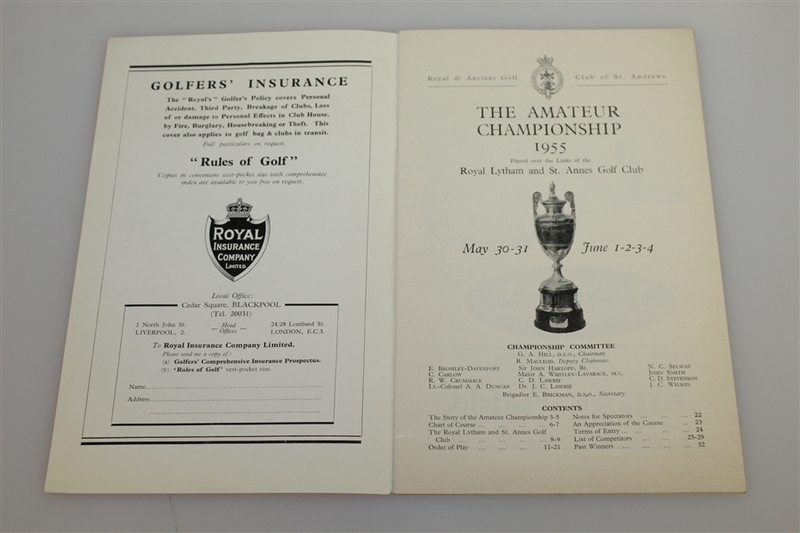 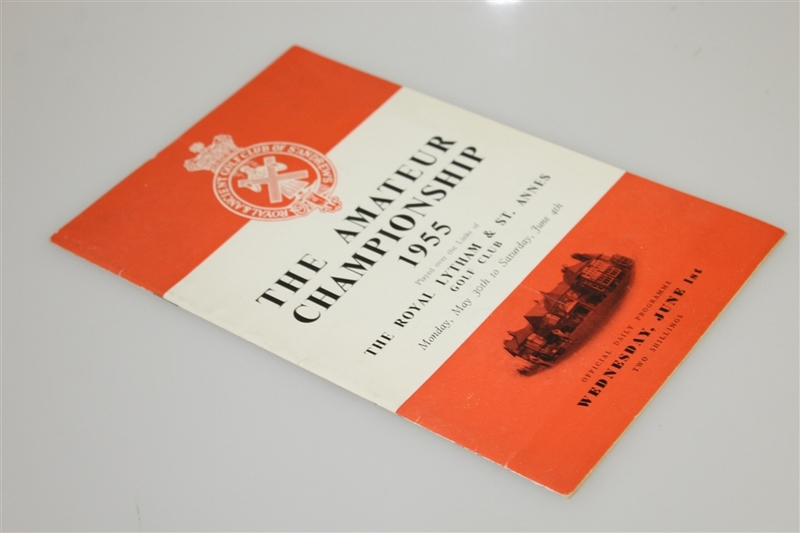 Here we have the Wednesday program from the 1955 British Amateur at Royal Lytham & St Annes. 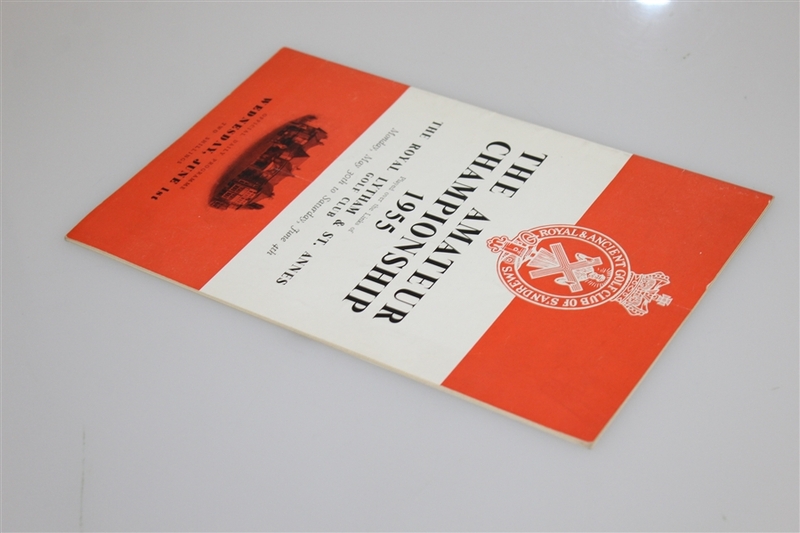 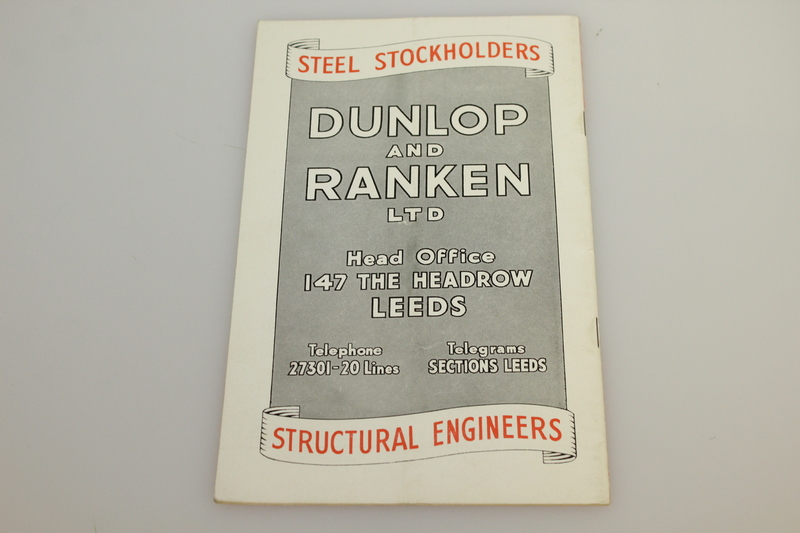 There is slight creasing to the spine, otherwise in good condition. While the San Antonio native Conrad was in Europe for the Walker Cup Championship, he made the most of the trip and entered in the 1955 British Amateur. 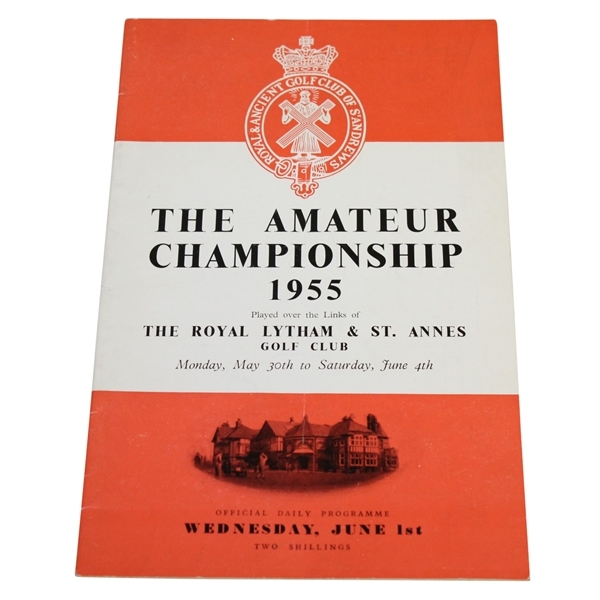 After the US Walker Cup team trounced the British team that year, Conrad set his sights and went on to win the coveted British Amateur Championship at Royal Lytham.